William Clarke was the son of William Clarke, of Walker St., Waihi, New Zealand; husband of Ethel E.N. Clarke (nee Vare), of “Mayfair,” Municipal Buildings, Hastings. The news of the sudden death of Mr. W.R.H. Clarke, Officer-in-Charge, New Zealand Wireless Troop, somewhere in Mesopotamia, came as a dreadful shock and cast a gloom over this office. The deceased was formerly O.–in-C., Wireless, Auckland, and upon its closing took up duty in the operating room. He proved one of the most popular officers of the Service, and we can scarcely yet realise that he will not take his place again amongst us. He was a sterling character, and fully realised his duty to the Department and his fellow officers. We extend our deepest and sincerest sympathy to his sorrowing wife and relatives. They can rest assured that our thoughts of Harry will always be most kindly and tender. 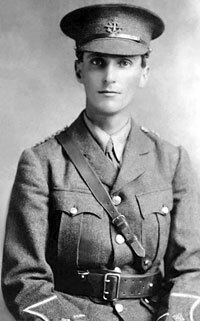 The news of the death from jaundice of Lieutenant (Harry) Clarke, which took place in Mesopotamia, on July 8th, was received with something of a shock by his many friends here. We extend to his widow our most sincere sympathy in her irreparable loss. The late Lieutenant W.R.H. Clarke, whose death from jaundice on the 8th inst. is reported from Basra, Mesopotamia, was a member of the service before he left with the reinforcements. He joined the Department as a telegraph message boy at Eltham, Taranaki, on February 17th, 1902, and after serving in different capacities in the Stratford, New Plymouth, and Auckland offices he was for four years stationed in Wellington as a telegraphist. Lieutenant Clarke had made a close study of radio-telegraphy, and was, at various periods, radio operator in the Wellington, Auckland and Owarua [Awarua] radio-telegraph offices. At the latter station he was acting officer in charge for five months. His knowledge of wireless telegraphs led to his appointment as second lieutenant in charge of the Wireless Troop, a separate unit which left these shores with the 10th Reinforcement draft. Three years ago he was married to Miss E. Vare, daughter of Mr Vare, of 89 Brougham Street, Wellington. Lieutenant Clarke was very popular with his officers in both civil and military life, and the news of his untimely death cast quite a gloom over the Wellington telegraph office, where he was well known. The sad news of the death of Lt. W.R.H. Clarke, O.C., N.Z. Wireless Troop, Mesopotamia, came as a painful shock to us all. The memory of poor Harry will ever awaken the tenderest and kindliest of thoughts of his sorrowing friends in the North. To his wife and relatives we extend our heartfelt sympathy.